Confirms new UK/European shows including Primavera, Field Day, Roskilde festivals. 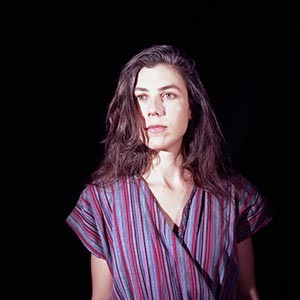 Aviary, Julia Holter’s fifth record, released at the end of last year, took as its starting point a quote from writer Etel Adnan: “I found myself in an aviary full of shrieking birds”. The resulting double album took listeners on an epic journey, guiding them through the cacophony of our world, whilst Holter explored “how one responds to that feeling as a person – how one behaves, how one looks for love, for solace”. Julia Holter has announced new live dates for UK and Europe including Primavera, Field Day and Roskilde festivals as well as headline shows.